Now through Sept. 22 fairgoers can save $3 or more—and streamline their trips to the State Fair of Virginia—when they buy advance tickets and ride wristbands from ticket partner Walgreens. Tickets and Unlimited Ride Wristbands will be available at participating Walgreens locations throughout Virginia. A list of participating Walgreens locations is available online at StateFairVa.org. Advance-price ticket sales will run through 11:59 p.m. on Sept. 22. New this year is an express lane at the fair’s Ticket Plaza for customers with advance tickets. Advance tickets are $12 for adults and $8 for youth 5-12 and seniors 60 and older and are good any day during the fair. Children 4 and younger will be admitted free. 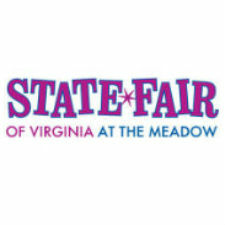 Discounted tickets also can be purchased in advance online at StateFairVa.org through Sept. 22. Rides are not included in fair admission, but ticket-buyers can save $5 at Walgreens and online when they purchase advance vouchers for Unlimited Ride Wristbands. Advance wristbands are $20. Regular-priced fair tickets can be purchased at Walgreens and online, as well as at the fair, Sept. 23 through Oct. 2. Season passes are $40 and available exclusively online through Sept. 20. For more ticketing information, visit StateFairVa.org. The 2016 State Fair of Virginia will run from Sept. 23 through Oct. 2. Information is available atStateFairVa.org.